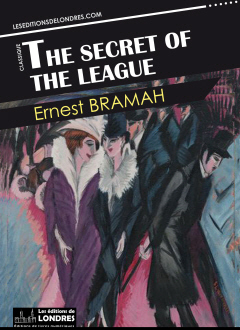 “The secret of the league” is a dystopian novel written by Ernest Bramah in 1907. It was first published as “What might have been: the story of a social war”, but later was republished in 1909 as “The secret of the league”. The novel is widely credited as having influenced George Orwell for his 1984. In the 1906 General elections, the Labour party arises from nowhere (2 seats) to become a potent force in British politics (29 seats). The surprising result is followed by social unrest and strikes, scaring the middle and upper classes, as the prospect of a Labour government is no longer so far-fetched. In the novel, the vision of a Labour Government is frankly dystopian. A mix of ultimate do-gooders and heavy taxation addicts, the Labour government as described by Bramah is not very different from Tory MPs' worst nightmares. A point here, most commentators of “The secret of the league” seem to all have read the same paragraph written by George Orwell in 1940 commenting on the rise of Hitler and Fascism, but they apparently have not read the book itself. In truth, the leftist government which springs to power and is overthrown through an undemocratic plot is not just a nice, left-wing Government, it is a semi-dictatorial one. See for yourself: “abolished the House of Lords, suspended the Naval programme and confiscated all ecclesiastical landed property.”; those Labour rulers are only satisfied when railway companies collapse, when they deplete the defence budget, etc. This is not the vision of Attlee coming to power in 1945, this is the vision of a Communist government. It just shows that Bramah and Lenin both found their inspiration in the French Revolution. Absolutely scared and devastated by the situation, the upper and middle classes unite and create the League in a bid to overthrow the democratically elected Government. They will design an ingenious plot aimed at wrecking the economy through hoarding coal, converting coal-burning factories to oil-burning ones, creating mass unemployment and civil war, then rise to power thanks to foreign help. What is astonishing about this book, written in 1907, is that we have many of the components of the political strife which prevails in the next ten decades, with energy as the source of economic power and political unrest, right-wing government rising to power thanks to foreign help, and the interesting feeling that Bramah is not so sad at the outcome. That he hated the prospect of Labour rising to power seems pretty obvious, but whether he is truly wishing for a Fascist government to rise to power, or whether he is rather describing it as a sad outcome of Labour coming to power is not clear, at least to us.